Showing 4 articles from September 12, 2014. 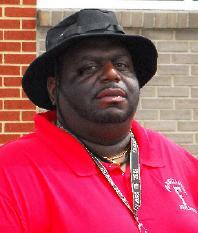 FRANKLINTON -- One of Franklin County’s most beloved teachers and coaches has passed away. Franklinton High School’s Trent Sanders died in his sleep Friday morning at his home in Raleigh. Sanders spent nearly two decades at FHS and was in charge of the Red Rams’ successful indoor and outdoor track and field squads. CASTALIA – Alton Glenn Leonard, Sr., 71, of the White Level Community, died Wednesday evening. 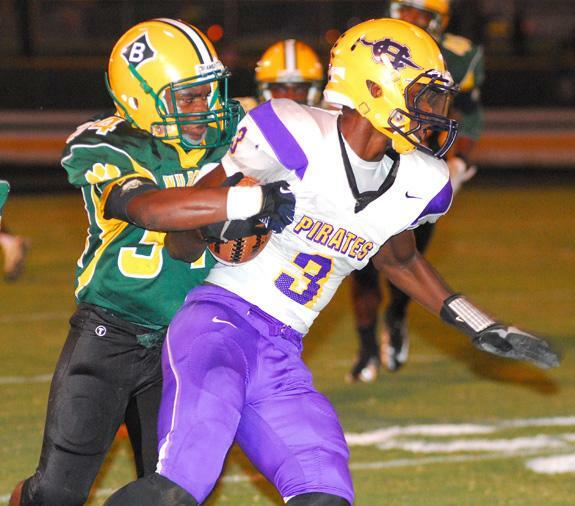 BUNN -- During the week of preparation, Bunn coach David Howle wondered if his club’s defense would be able to slow down the high-powered Corinth Holders Pirates. Howle’s worries proved to be founded as the Pirates, utilizing a spread offense, racked up 502 total yards during a 61-27 triumph over the Wildcats on Friday at the BHS Football Field. FRANKLINTON -- Football wasn’t the top priority for the Franklinton Red Rams when they took the field Friday for a non-conference meeting with Northwest Halifax. That morning, members of the Franklinton High School community were stunned by the news that long-time teacher/coacher Trent Sanders had passed away in his sleep.